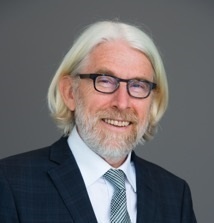 The corporate and commercial law, M&A and insolvency law practice of Peeters Law is headed by Leo Peeters, a specialist in national and cross-border corporate and business law, and in commercial and financial transactions. Leo offers advice to his clients on mergers, acquisitions, financial transactions and restructuring of companies. His experience covers contract law, commercial law, banking and finance law, insolvency, distribution law, construction and real estate, telecom and arbitration. Leo serves the interests of both national and international clients. Leo has acquired broad experience during a professional career of about 35 years, as legal consultant with Price Waterhouse, and as a partner with Ernst&Young. In 1998, he was founding partner of Peeters Advocaten in co-operation with Ernst&Young. He afterwards became a partner with Simmons & Simmons and Thompson Hine LLP. Leo is a member of the Brussels Bar.